eBay is an interesting place – of that there is no doubt. Like all dedicated arcade hunters, I have a plethora of saved searches and notifications keeping me up-to-date on new arcade-related listings. Despite all the technology in the world providing the assist, nothing works if you don’t pay attention to the messages. It’s tough to stay up-to-date and plow through all the eBay e-mails every day and invariably some items gets missed, and I (almost) missed this one – big time. 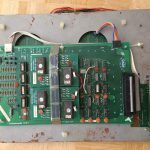 Fortunately that didn’t happen, and thanks to the help of an eagle-eyed friend (Vic) who spotted this eBay auction, I was able to at least watch how it played out. 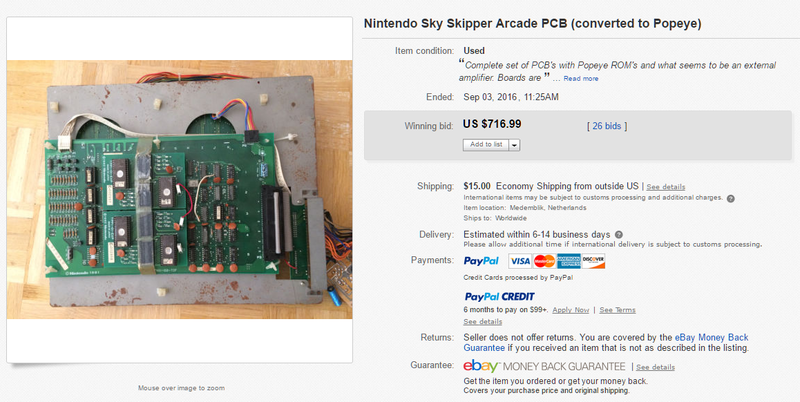 What I’m referring to is this listing for a Sky Skipper PCB that appears to be factory-converted to play Popeye. 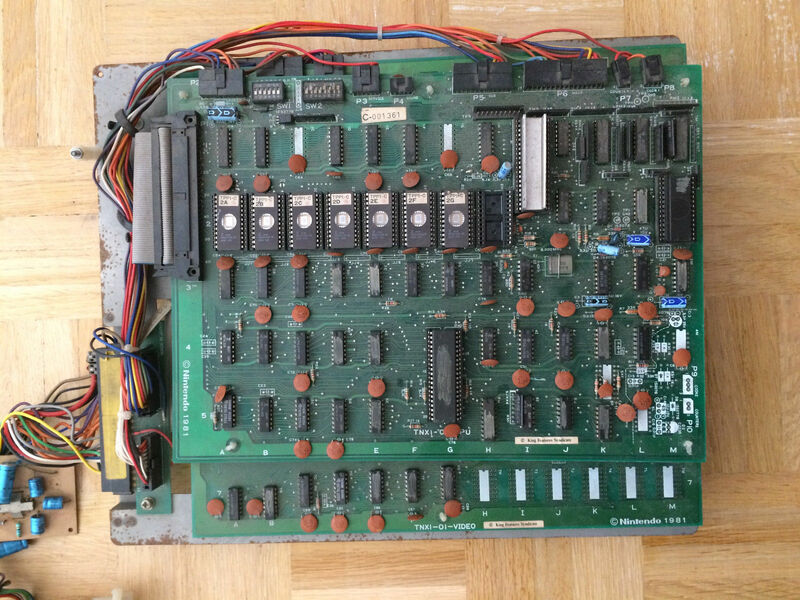 Yes – I did bid on it, so I was partially-responsible for running it up, but I had no idea it would land north of $700…. *whew*.. I’m surprised as well that there were 26 bids on the board stack as well. That indicates to me a significant amount of interest in the game. Some research into the auction notes that there were 11 distinct bidders who tallied up 26 bids and the winner appeared to ‘snipe’ the auction right at the very end with a single bid for the winning amount. It’s impossible to know how much further the winner would have driven up the bidding, but it is fun to speculate! 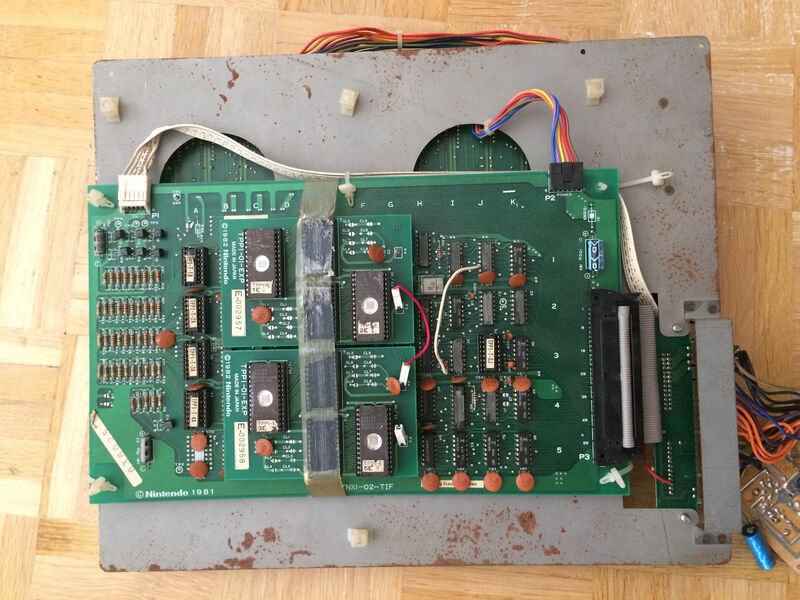 It’s impossible (that I know of) to find out who the actual buyer was of this board, so if you are the buyer, or know who the buyer is, please have them contact us so that we can talk! 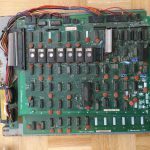 The de-conversion process is a daunting task and we’d love to talk to you about your plans for the board and/or restoring a game. Truthfully, there’s not a lot we know about this auction outside of the final results and the fact that the board was considered ‘untested’. 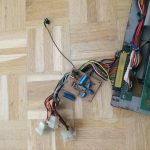 Based on what we know about the de-conversion process that means the board stack definitely and without a doubt will not boot and run the Sky Skipper ROMS in its current condition. 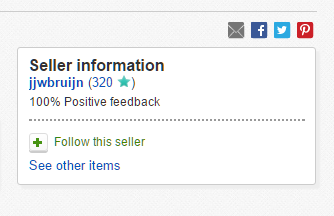 The seller was located in the Netherlands, which I find to be very interesting. He goes by ‘Jelmer Bruijn’ and has a Youtube channel. 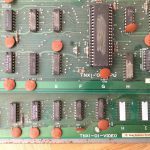 All 3 PCB sets that have been found in the wild (two from Alex and this one) have all come from outside the US. It makes me wonder just how many more might be out there sitting in a box somewhere… We are going to reach out to him to see if he might be willing to talk with us and get us connected to the buyer. We’ll update this post when we have additional details. 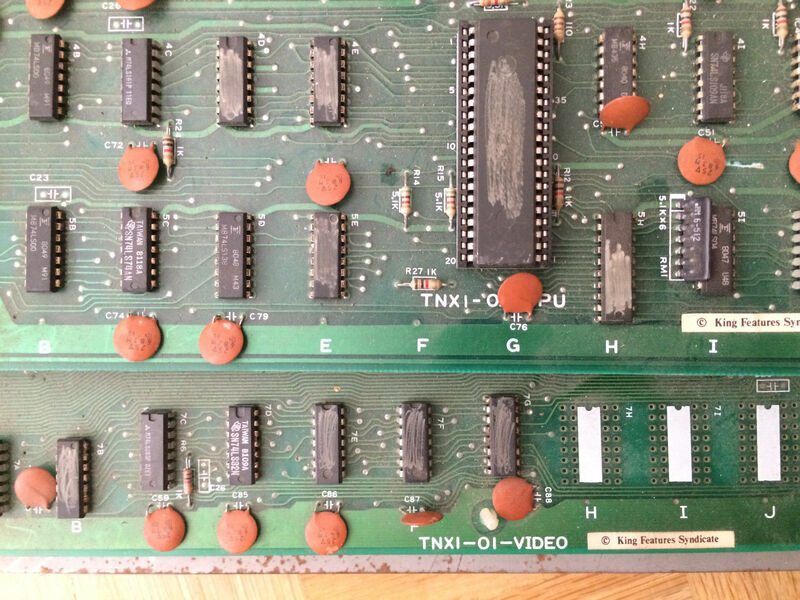 This is a ‘daughtercard’ version of the PCB – the same style that both Alex and I have for our machines. The other side of the stack. 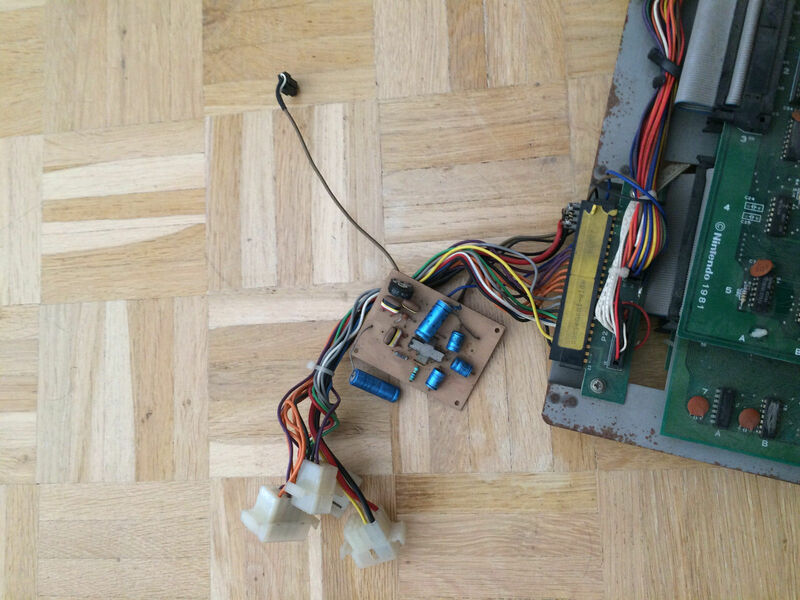 Not sure about this – looks like an audio amp, but doesn’t map to anything we’ve seen thus far. All this auction really does is leave the Sky Skipper Project with a few more questions than answers. All good though – it adds to the mystery and the fun of sorting through the history. Let’s hope the buyer comes forward some day and joins in the fun!